We are proud to sponsor colleagues taking part in the Dempsey Challenge; a two-day, non-competitive walk, run and cycle fundraiser which champions the spirit of celebration and culture of paying it forward, all hosted in actor Patrick Dempsey’s hometown of Lewiston, Maine (USA). Every dollar raised by participants benefits the Dempsey Centers. 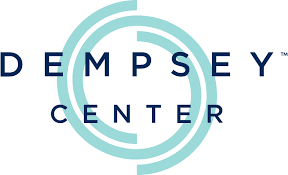 The Dempsey Center provides quality of life care for individuals and families impacted by cancer. Founded by actor Patrick Dempsey, the Dempsey Center provides a personalized, holistic, and integrated approach to cancer prevention, education and support. All services are provided at no cost to anyone impacted by cancer regardless of their socioeconomic circumstances or where they receive their medical treatment. This entry was posted in Blog, Social Responsibility. Bookmark the permalink.